Today on Rare Disease Day 2019 the worldwide rare disease community is joining together to raise awareness of rare diseases by holding events, conferences and fundraisers. Thousands of Rare Disease Day events are taking place in over 90 countries and regions. Events are taking place for the first time in: The Dominican Republic, Lesotho, Montenegro, Namibia, Qatar and Sri Lanka. Rare Disease Day 2019 brings together 3 new testimonial videos that give an insight into daily life with a rare disease. Watch and share the stories from Filip, Karlo and Lorena on Facebook and Twitter on Rare Disease Day! The videos are available in over 30 languages. This year’s theme is ‘Bridging health and social care’ and Rare Disease Day 2019 is an opportunity to be part of a global call on policy makers, healthcare professionals, and care services to better coordinate all aspects of care for people living with a rare disease. The slogan for this year is 'Show Your Rare, Show You Care.' 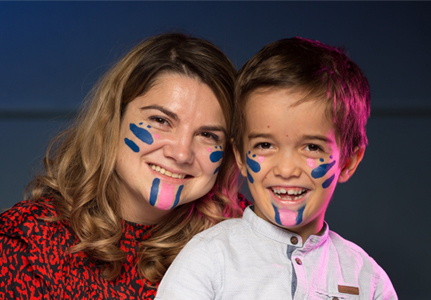 You can still get involved in the #ShowYourRare campaign by sharing your face-paint selfie or group photo on social media using the hashtags #RareDiseaseDay and #ShowYourRare.